It was the pink shoes. I saw them and had to build an outfit around them. The jacket was an easy match. But then I spotted these grey pants with a holographic print on them. 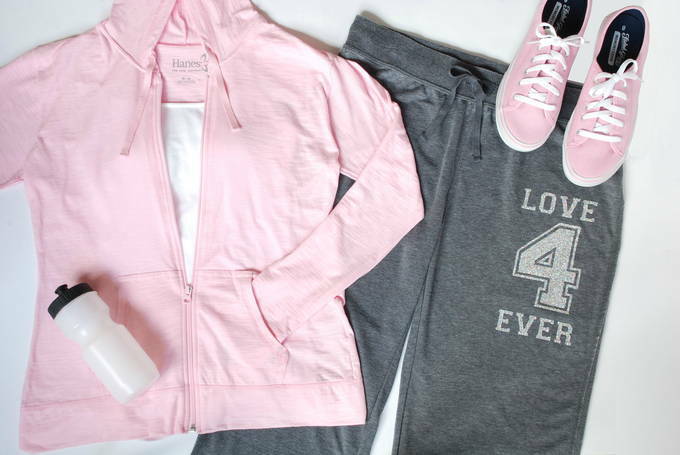 This outfit will look so cute when I workout. Yeah right, the words “work out” sound like I’m going to strain and sweat and build muscle. That’s not happening in this outfit. This kind of workout outfit is for wogging. What’s wogging? It’s where you jog and when you get tired you walk. Then when you’ve recovered, you jog again, etc. It’s my kind of work out. I’m not about to tell you how long this work out goes on for. Let’s just say, when my gum loses its flavor. I did not say, when I start thinking about some leftover dessert all alone in the fridge calling my name. Nope. It’s really flavorful gum. Since the shoes are so awesome, I’ll start with them. At first glance they look like your typical shoe but they are made with, wait for it, MEMORY FOAM inside the soles! So comfortable, no going back to a regular sole. 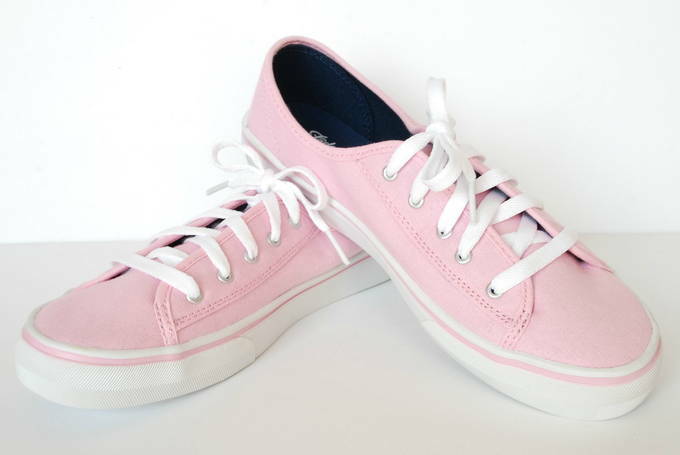 Plus, they’re PINK – woo hoo! Love them. Can you tell? 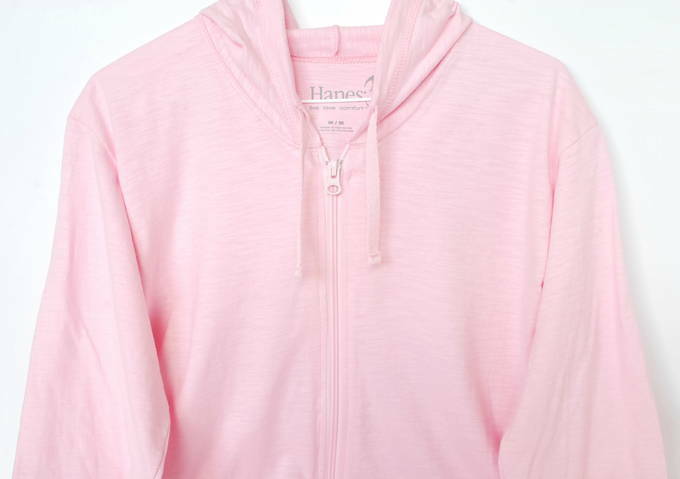 This PINK hooded jacket is very lightweight. It has pockets in the front. And the hood has a working drawstring. 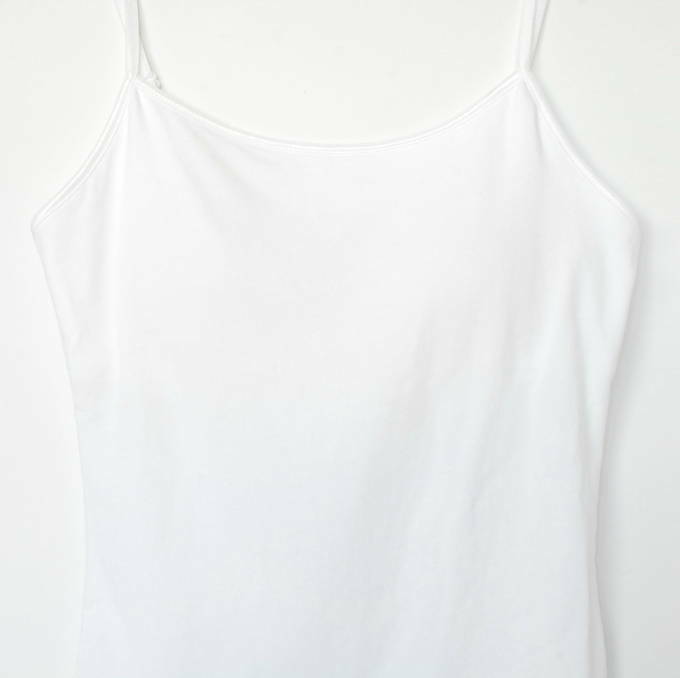 This little cami is stretchy and comfortable. It’s a nice bright white. Now for the finale…! Talk about stretchy and comfortable knit pants. They’re a thin lightweight material. The elastic waist has a working drawstring. They have a wide leg but there aren’t any pockets. One interesting thing about them is the seams and hem. The seams are made showing the raw edge on the outside. The hem isn’t tucked under and hidden. It’s a very cool street look. 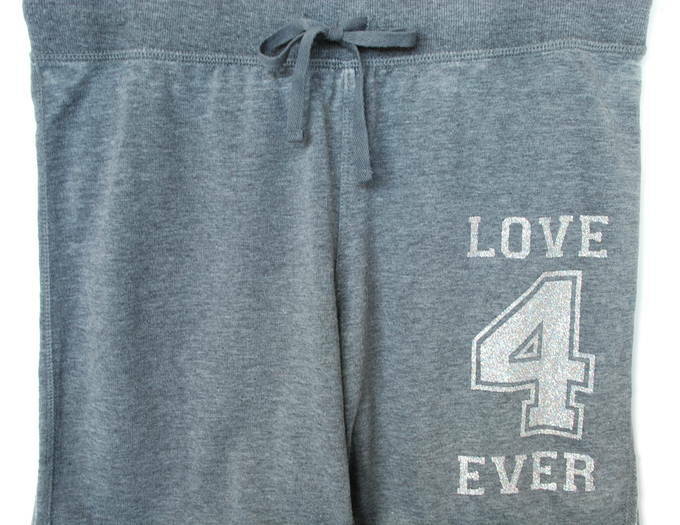 The best part is the holographic silver print “LOVE 4 EVER” on them. It’s so eyecatching and pretty – OK, mesmerizing and pretty. Just writing about his outfit makes me want to go “workout” in it. You should try wogging. But take lots of gum.